My OUTLANDER Purgatory: The New Green Echo has Arrived! The New Green Echo has Arrived! Do ye mean to take even more time about it, lass? Just read the damn book already. I saw it at Barnes & Noble on Thursday. Couldn't help but read the back. No big suprises there. Can't wait until my class ends this week. Finishing Cross and getting ready to start the next one. I think it'll be forever before I get to Echo. 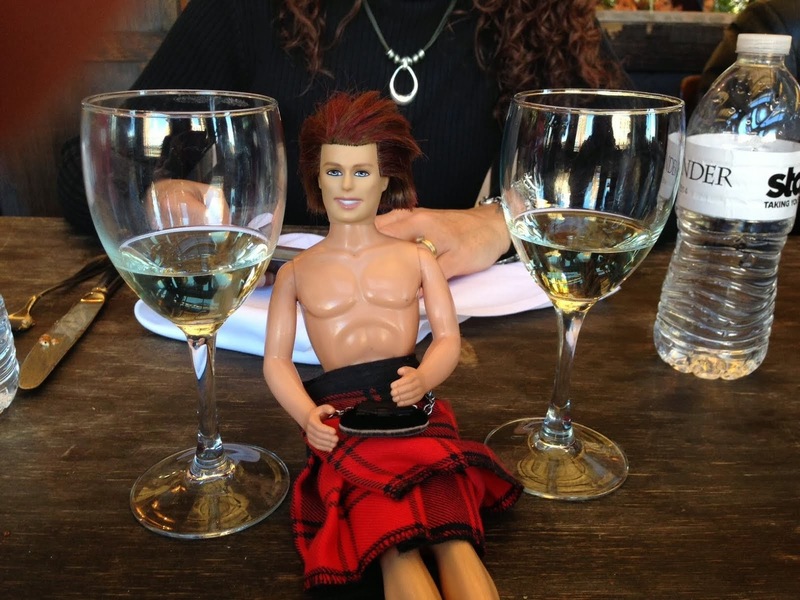 A day in Outlander time is like a week in real time, isn't it?!? Ooooh Patti - A Breath of Snow and Ashes - I. Loved. That. Book. Enjoy!! Found more Roger foreshadowing last night. As he is leaving the Regulators camp, he has to tear off his stock because he feels like it is strangling him. I'm almost to the fateful event itself, and I just about can't stand it! 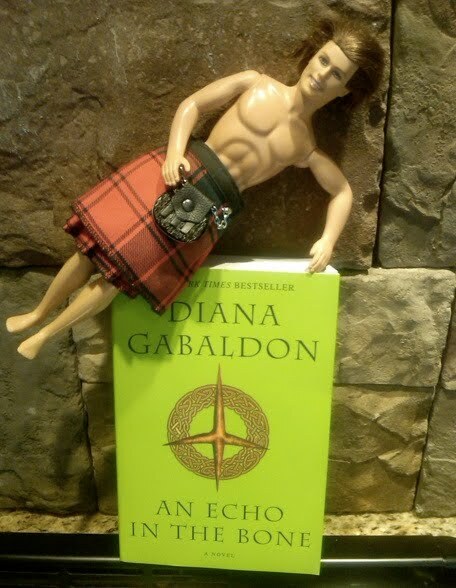 my daughter aged 9 looked at the screen and said "oh no they,ve brought out a jamie doll now, how sad is that, dad you know mum,s books well they,ve brought out a doll" when i stopped laughing i did tell her hmm no not really, she doesn,t know what the books are about but she,s heard me talking with friends often enough. An Echo in Murtagh's Bone? Somebody get me the NAIR. Jamie Fraser: Lordddd the ReRead! New Video from My Outlander Purgatory! Channing Tatum as Jamie Fraser?